Divorce in Sweden is governed by the marriage code. Throughout the marriage each spouse individually continues to own all of his or her property. There is no liability for the other’s debts. However a divorce triggers a potential claim to have the assets treated as ‘community property’, in principle to be divided equally. The matrimonial home is a special case. If one spouse is owner, they still may not mortgage it or dispose of it without consent of the other. This regime means that a lot of attention focuses on just what increase in value has taken place in the course of the marriage, and it requires defining the point at which separation took place. Swedish law aims at achieving a clean break and an end to all economic ties. Spousal maintenance is unusual, and when granted it is usually for a short period and certainly by English standards, generally modest. Accordingly where there are few assets but a strong income position, serious consideration needs to be given to alternative jurisdictions. 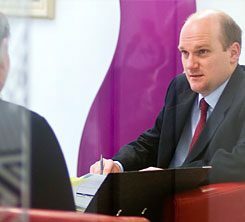 We are specialist international divorce lawyers and family solicitors and we have advised numerous clients who are either UK-based but originate from Sweden, or are living outside of the UK but have a connection with England or Wales.